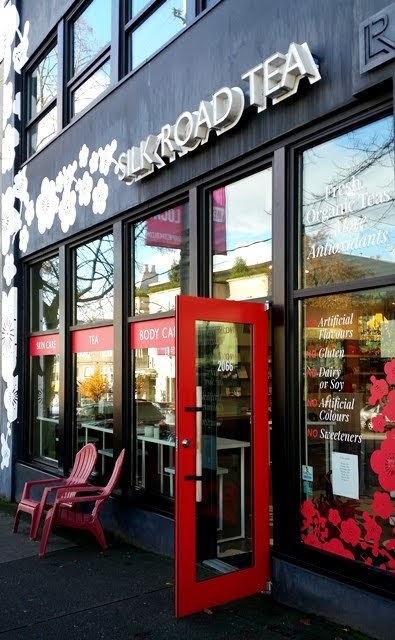 Silk Road Tea first opened its doors in Victoria's Chinatown in 1992. Founder Daniela Cubelic's knowledge of tea and wellness helped to make the tea shop a well-known destination for locals and tourists alike. 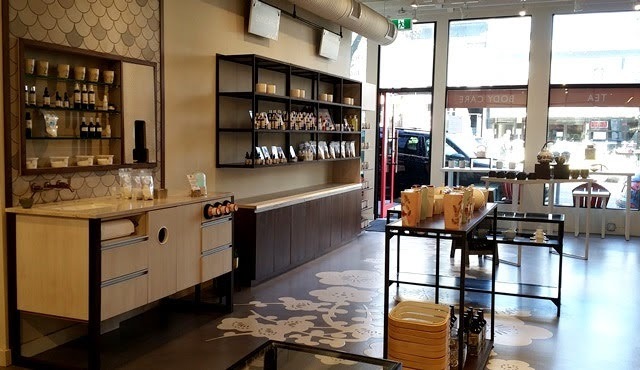 Since the opening of the flagship location, a second branch of Silk Road Tea opened in the Victoria Public Market in 2013 and a third branch opened in Vancouver in 2016. 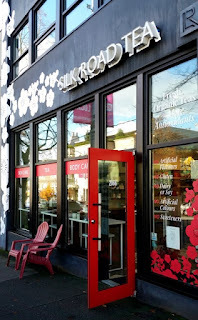 Recently, I had the opportunity to visit the Vancouver tea shop located in the trendy Kitsilano neighborhood on West 4th Avenue between Arbutus Street and Maple Street. 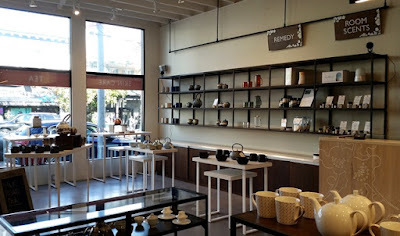 The tea shop interior is clean, open and modern. Friendly staff are on-hand to answer any questions you may have throughout your visit. 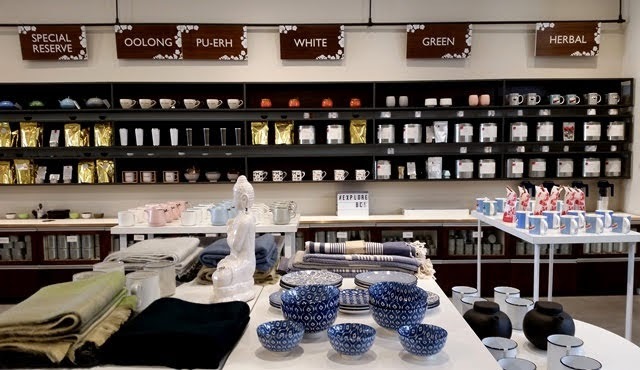 At the Vancouver location, customers are encouraged to take a hands-on approach to tea shopping. After making your selections from among the wide variety of organic teas on display in large canisters, you can then open the canisters and fill your own tin. An exception to the self-serve process is the small batch and artisan Special Reserve teas which are already pre-packaged. In addition to tea, Silk Road carries a variety of household and wellness goods, as well as a teaware ranging from tepots, gaiwan, and gongfu sets to modern yunomi and mugs.